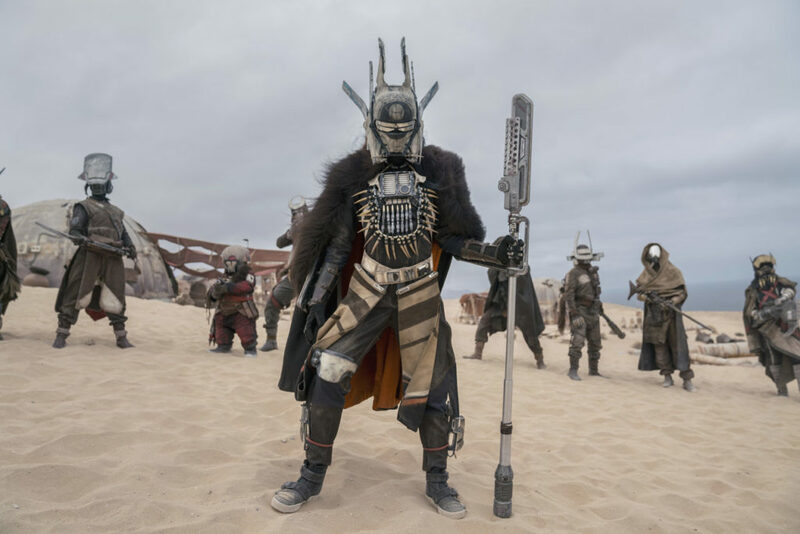 Now, I love Han Solo and Chewbacca as much as the next person, but Enfys Nest is one of the most compelling characters from Solo: A Star Wars Story. Not only is she a fierce warrior, she’ll drive circles around you on her swoop bike. But this character is so much more than just some run-of-the-mill antagonist. She’s a kid with a lot of guts. Here are five reasons why we love her. 1. She’s more than a pirate. Enfys Nest is a character that’s blanketed in mystery throughout much of the movie. For a while, she’s nothing more than a menacing figure in a mask. Luckily, she’s anything but. Under the head gear she’s a freedom fighter rebelling against the Empire. Don’t ever judge a book by its cover, kids. 2. She’s wise beyond her years. 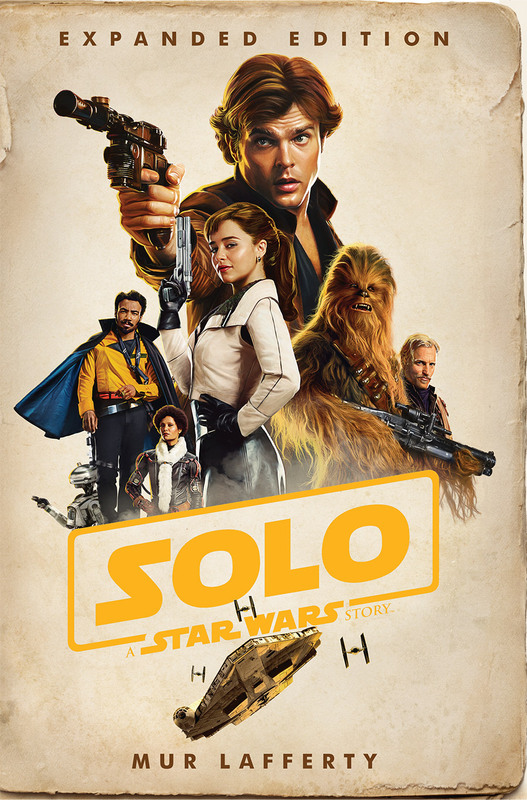 In the novelization of Solo, Enfys meets Saw Gerrera and Jyn Erso prior to the events of Rogue One. Instead of dismissing Jyn, who’s just a kid at the time, the leader of the Cloud-Riders imparts a few words of wisdom. She tells Jyn that if anyone ever underestimates her because of her young age, she should make them regret it. She doesn’t sugarcoat or assume Jyn is incapable of understanding the gravity of those words. 3. She’s not afraid to smile. When Han Solo tells Chewbacca not to lose the vial of coaxium that Enfys gives them, she smiles and lets out a giggle. It’s such a humanizing moment. While she’s a ferocious fighter and one heck of a swoop driver, I like that she’s not just some stoic warrior in a mask. She’s a three-dimensional person. Besides, Chewbacca’s awesome and lovable — who wouldn’t crack a smile? 4. The inscription on her helmet has a really powerful message. This not only encapsulates the core of her character; it also represents the spirit behind the Rebellion. Enfys, like all rebels, frequently puts her own life in danger so that others might one day live in peace. 5. She made the choice to be a hero at a young age. Enfys Nest may be a young woman, but that doesn’t stop her from leading the Cloud-Riders or working for the greater good. And, despite her tragic past, she tries to make a better future for herself and for others. That’s the definition of a hero. 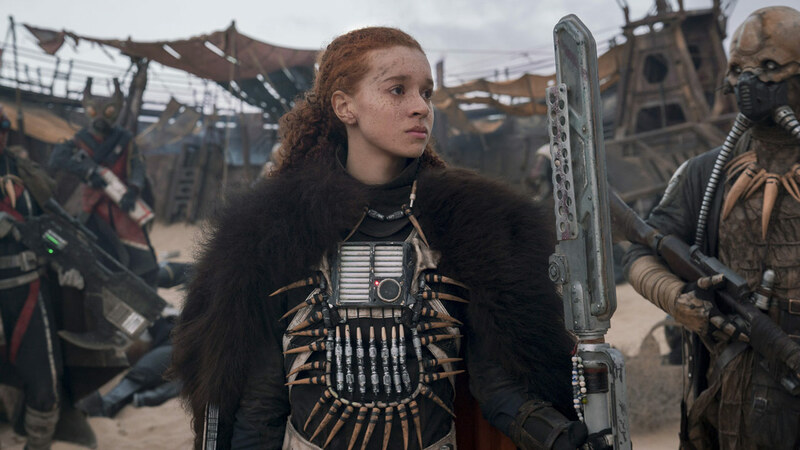 Check out StarWars.com’s interview with Enfys Nest actor Erin Kellyman!